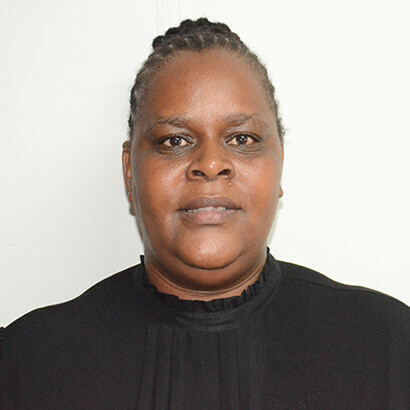 Ms. Blondie Chabani studied at the University of the North where she obtained her Bachelor of Administration in 1997, and in 1999 she obtained her Honours Degree in Industrial Psychology. In 1998 she worked as a student Assistant at the University of the North, in 2004 she did her internship programme at the Department of Agriculture under the programme Debt Management. In May 2005 she worked as an Advisory Database Officer at the Department of Agriculture. She also worked as an Assistant Statistical Officer and a Statistical Officer at STATS SA. She is working as a Programme Manager: Planning, Monitoring, Evaluation and Reporting. She is responsible for managing the planning, reporting and implementation of the work of the Council, contributing towards the conceptual design and development of a monitoring and evaluation framework for the HRDC, Coordinate evaluation studies, strategic review sessions and annual reporting of the HRDC, Liaise with Provinces and ensure that Provincial HRD plans are aligned to the National HRD plan, Coordinate Content Committee for the HRDC Summit.